Since 1997, Greencastle Associates Consulting has been recognized as the ‘go-to’ firm for the implementation of critical initiatives. We maximize change initiatives for our clients by leveraging our military and professional leadership and the values of our company. More simply? We implement large projects that support your strategic plan. Our current project portfolio is spread across 19 projects in utilities, data analytics, business intelligence and reverse logistics. Every project is powered by data. We approach each project with a focus on the data, KPIs and metrics. If you don’t measure it, you can’t improve it. The Greencastle team calibrated 12,000 vehicles at an accelerated rate to be able to meet a fuel savings and carbon emission reductions goals set by the Comcast. The average fuel savings was 12%. We have completed well over 350 projects since 1997. Most are large scale and complex. The fun ones were projects that had never been attempted before. Continued education is important at Greencastle. In 2018 we conducted over 2,400 of internal training for our team. Topics included project management, Lean, Six Sigma, leadership and many others. 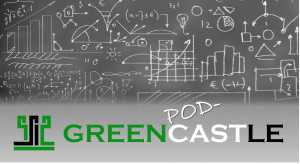 Hosted by Dan Roberts, one of Greencastle’s Management Consultants, the Greencastle Podcast dives into the problems that many veterans discover when looking for employment after serving their country. Greencastle has worked in over 37 states over the years. Greencastle has a long history of working with large and small utilities across the country. Click HERE to see a sampling of our projects. The source of project success or failure. Technology gets the blame. But with every project outcome, its success or failure is due to the people and associated processes. Assessments, Vendor Selection, Vendor Management, Implementations, Business Case Development and Project Tune-ups are just a few of the services we offer. 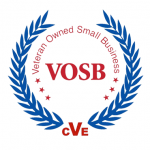 Since 1997, Greencastle has been a 100% veteran owned business dedicated to hiring veterans, veteran spouses, guard and reserve personnel. We proudly hire veterans, guard and reserve personnel. Sometimes they have to deploy for a few weeks to a year. We support their continued service and their families. Greencastle’s expertise is built on a foundation of military experience from every branch of service. We leverage our people’s leadership, emotional intelligence and mission first attitude to accomplish large and complex projects. Learn more about the value a veteran can bring. Large and small projects. Big teams and small teams. We strive for high quality results, providing exceptional work products and we compete to win – on behalf of our clients.